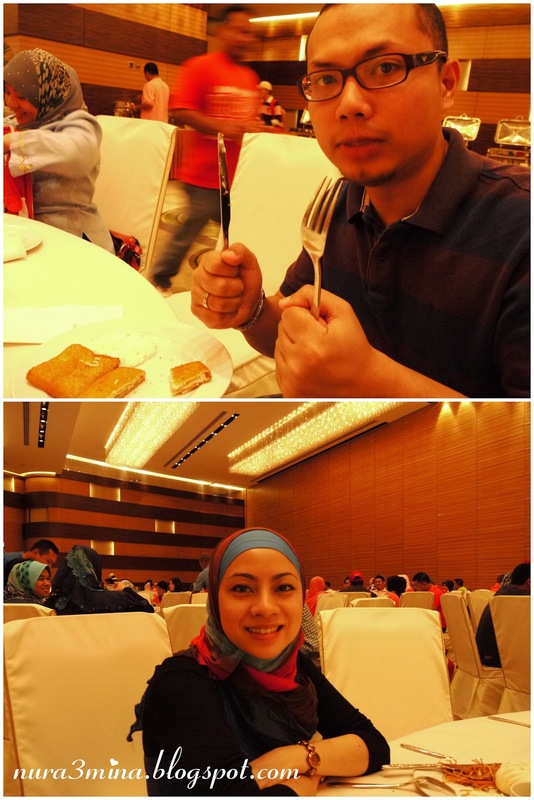 Our 2nd day started at 8:30 am with breakfast buffet at the hotel..specially catered for our group, all HALAL food! At around 10 am, we arrived at HongKong Disneyland Resort! This is our first Disneyland yang kitorang pergi together. mase zaman die blajar kat US. While waiting for the ladies..the husbands dah tak larat berdiri..and inilah muke seposen derang..
PICTURE MOMENTS with loved ones and friendss!! Between these 2..mane lagi comel? we decided to go to Harbor City by MTR. 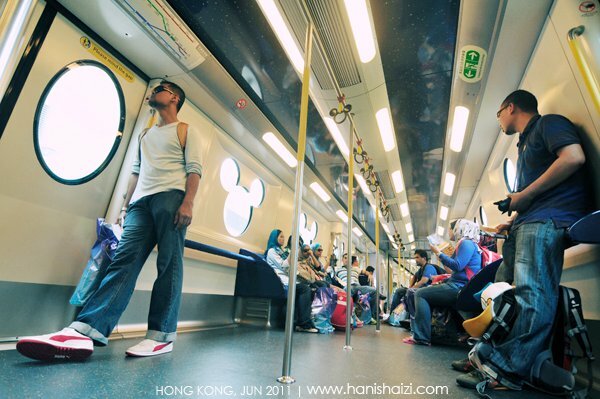 time ni la jugak nak merasa naik MTR kan..
and etc..rambang mata n jakun kejap! terikot-ikot "Mak" @ Hanis Haizi la ni.. penangan shopaholic! for more pictures..check out the full album from my facebook!